" Listen! I hear the voice of someone shouting, 'Make a highway for the Lord through the wilderness. 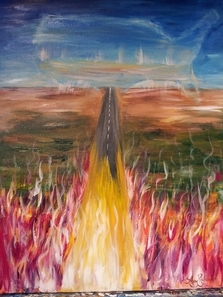 Make a straight, smooth path through the desert for our God'...the glory of the Lord will be revealed, and all the people will see it together. Yes, the sovereign Lord is coming in all His glorious power!" America's 10/40 window (Interstate 10 and Highway 40) is Is. 40:10. "The Presence Belt". The Lord is making a highway across this nation. A highway of His presence and His glory. A nation on fire for God! 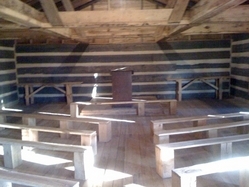 This is the site where the second Great Awakening began in 1800. Now the third Great Awakening has begun.